Cognitive-behavioral therapy (CBT) with exposure and response prevention (ERP) can be an effective tool in the treatment of childhood-onset OCD, whether related to PANDAS or not. Current practice parameters recommend that clinicians begin with CBT for mild to moderate OCD presentations and only add medications for more severe presentations (Geller et al., 2012). (Please see: PPN Treatment Options: SSRIs) When working with children with PANS/PANDAS, CBT can be an important component of the overall treatment regimen (see below for treatment considerations). Treatment should involve parents (and other family members as appropriate) such that parents are taught the nature of the treatment and guided to serve as the child’s at-home therapist. Typically, parents are included in each session to achieve this goal. Treatment may be intensive (i.e., daily) or once- or twice-weekly. The differential efficacy for youth with PANS/PANDAS has not been examined, but data suggest comparable effects in youth with OCD without PANDAS/PANS for patients with moderate OCD (Storch et al., 2007). There are several reasons why CBT may be beneficial in working with families of a child with PANDAS/PANS. At symptom onset and thereafter, children and their family members often engage in behavioral patterns that maintain obsessive-compulsive/anxiety symptoms such as distress-reducing rituals, avoidance, and family accommodation. Such behaviors are negatively reinforcing and contribute to furthering learned associations between feared stimuli that may remain even after other effective therapeutic approaches. This may explain why some children who respond to immunomodulatory therapy continue to exhibit residual symptoms, as they have become learned behaviors. Thus, addressing these symptoms behaviorally may hold promise. Indeed, preliminary evidence by Drs. Storch and Murphy (Storch et al., 2006), as well as clinical experience, suggests that CBT holds promise in youth with PANDAS. In addition, the onset of PANDAS/PANS is a remarkably difficult experience that affects family functioning. Addition of CBT may provide children and family members with tools to effectively combat and/or contend with future exacerbations, should they occur. Teaching the patient to personalize or name their OCD. A trained CBT professional will know many of the techniques that can help combat the obsessive-compulsive symptoms that a child with PANS/PANDAS experiences. Even for those children with PANS/PANDAS whose obsessions and compulsions are changing so rapidly that a CBT technique may become quickly outdated, there are a subset of tools that a child can use; having such an arsenal gives them something to focus on when an OCD thought emerges. Furthermore, the approach to deal with obsessive-compulsive symptoms focuses on the function of the behavior, not just the form or symptom. That is, the child and parent(s) is taught how to gradually and systematically face fears regardless of the symptom content. There are several considerations to determine if CBT is an appropriate part of treatment. 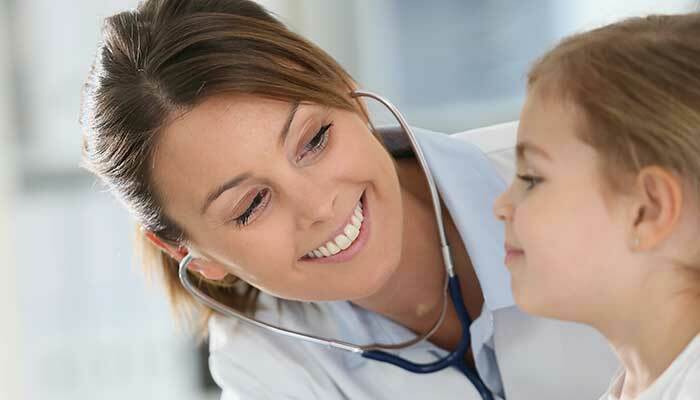 Some children with PANS/PANDAS are not yet able to engage in behavioral intervention due to the severity of symptoms and/or an inability to connect with a clinician. In such cases, it is likely best to engage with other interventions, such as the other treatment options outlined by the PPN site, prior to initiating CBT. However, it is relevant to note that it may be possible to work with parents to foster gains even when the child is not able or willing, and experience suggests that many youth can glean benefit. CBT is viewed as one component of a multi-component treatment that involves multiple disciplines. Close collaboration among providers is necessary. Other co-occurring conditions may be present which may require a coordinated, modular approach to behavioral care. For example, in the presence of significant emotional lability and dysregulation, behavioral approaches targeting these domains may be warranted prior to addressing OCD. Post the treatment with immunotherapies discussed on the PPN site, some patients who are strong responders will no longer require CBT, while others with more moderate responses will likely find it beneficial to initiate and/or continue CBT.